Secure and traceable storage of your documents. EvaStore Document Management is located in Park Hall, Oswestry and is in the perfect position to offer document management services to local businesses. 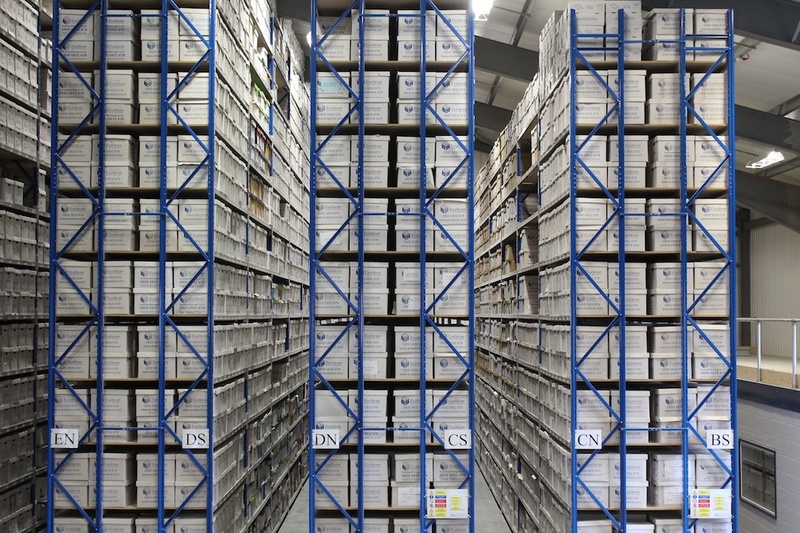 EvaStore specialises in document storage, document shredding, document scanning and Secure Vault storage and has many years of experience in supply these services to a wide range of industry sectors. These include legal services, financial services, insurance services, aerospace, restaurants and many more. EvaStore operates a custom made storage facility based at Park Hall. 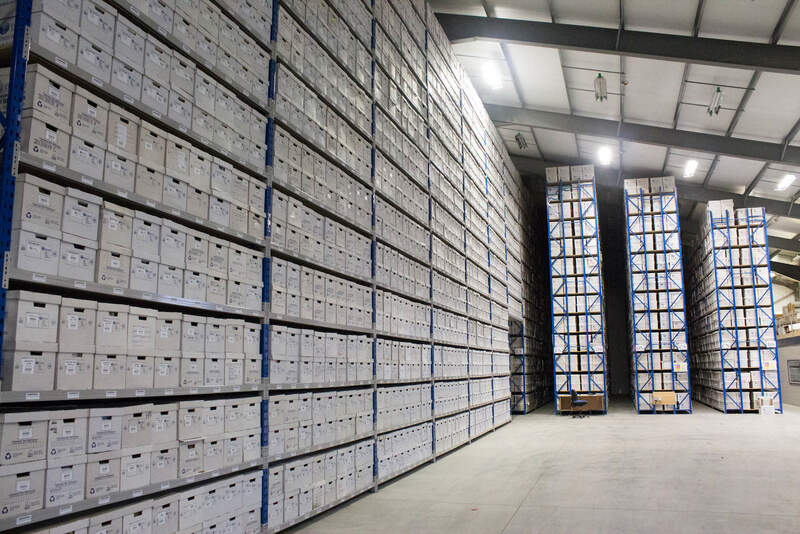 We recognise the responsibility of managing the files entrusted to our care and as such our storage facility features the latest in security, CCTV, access control and fire detection systems. 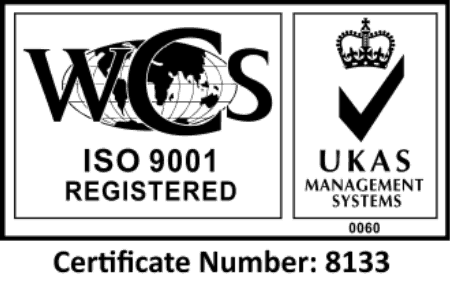 This gives excellent peace of mind that your important business documents are in safe hands. CCTV monitors our facility both inside and outside 24 hours a day. State-of-the-art fire detection system with off-site monitoring. Access control system restricts access to specific areas to authorised personnel only. Intruder alarm system with off-site monitoring. All staff members are fully vetted and CRB checked. A visible guard presence is maintained outside of working hours. EvaStore recognises that you need to devote your time and energy to developing your business rather than managing your business documents. EvaStore has many years of experience in managing documents for a wide variety of industries allowing us to manage your documents effectively by offering efficient and secure storage solutions, next day delivery of any documents you require back at your premises and even scan-on-demand services where we scan urgently required documents and transmit them to you in a secure electronic format. EvaStore is a strategic partner of O’Neil Software who develop the industry standard of records management software. Using their system allows us to track and maintain a complete history of any files entrusted to us. 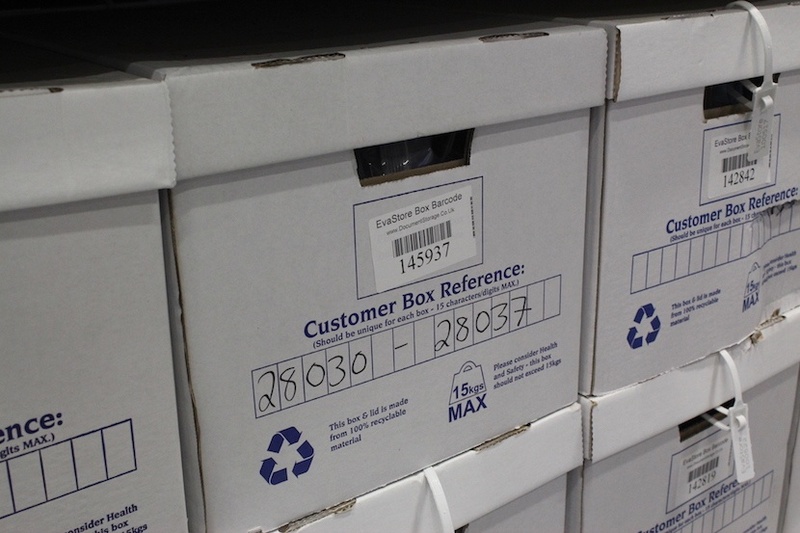 Each and every box is barcoded on collection and is immediately scanned onto a handheld scanner by the driver. From this moment forward we know exactly where the box is located at any one time e.g. if its in our facility, where in our facility its located and even if it has been returned to your premises for a period of time. So if you’re a local business based in Oswestry or the surrounding areas why not contact us to see how we can help you manage your documents and free up your time and office space to devote to your business.